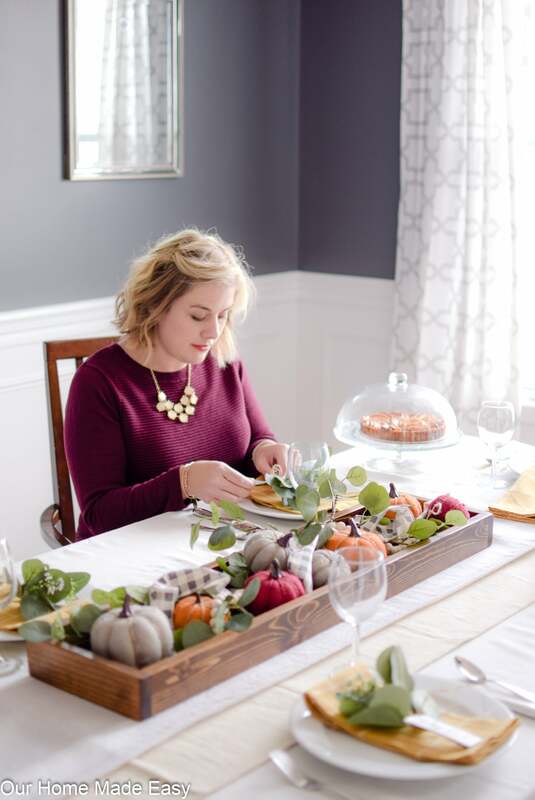 Make your Thanksgiving Table Decorations an easy DIY this year! 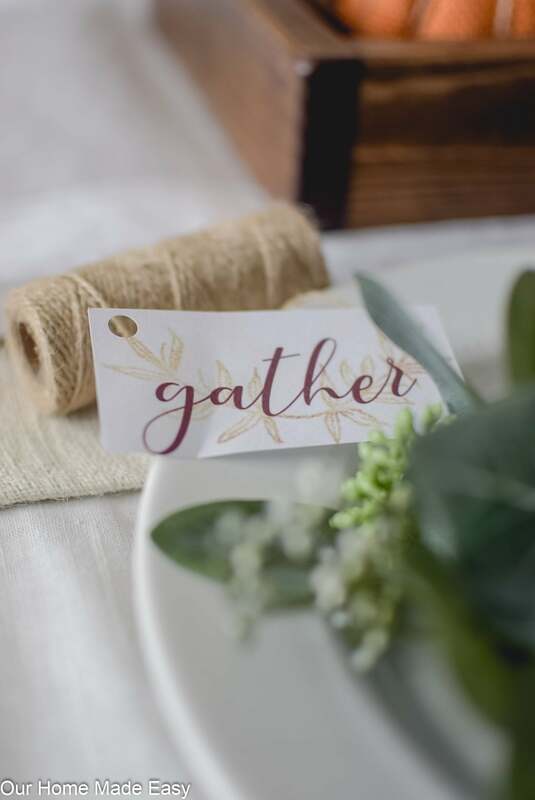 Avoid spending too much money by using what you have on-hand and printing off a free ‘Gather’ tag. 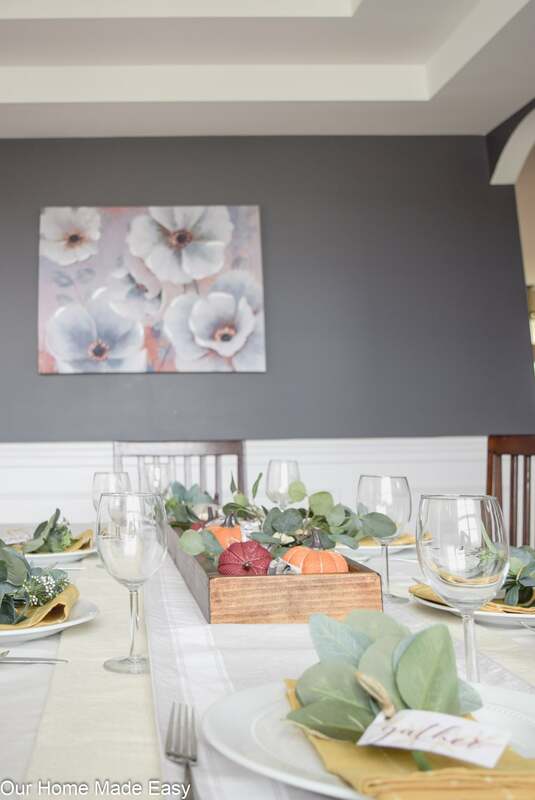 Do you ever feel excited to host a dinner because it’s the perfect excuse to pull out all those Pinterest ideas you’ve saved over the year? Or does it mildly terrify you? I love having all the guests over, but I like to make it as simple as possible. And one of the last things on my priority list? 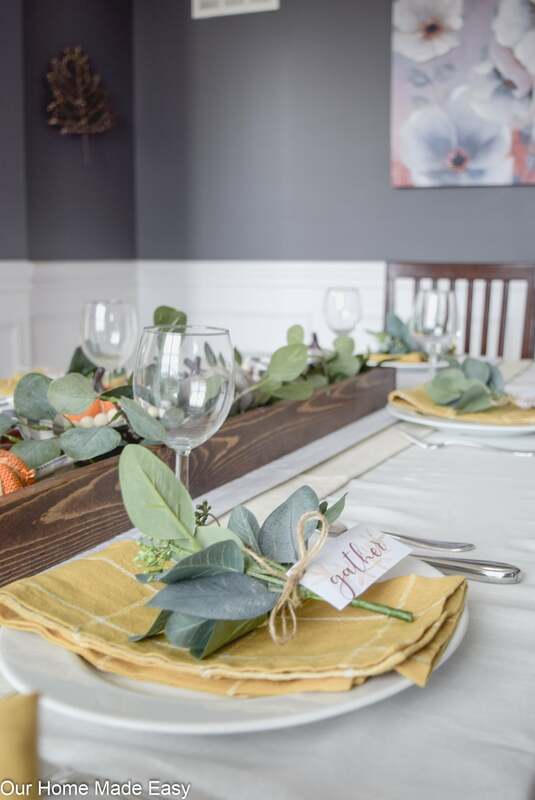 Tablescapes. 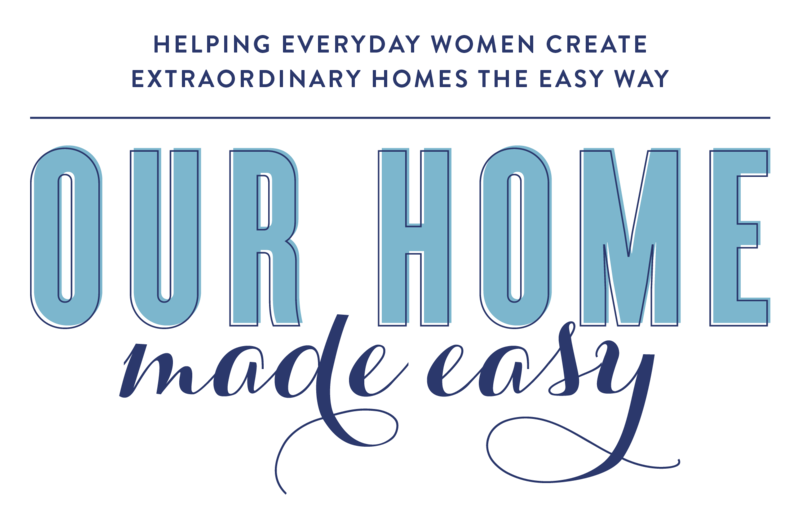 But here I am, wanting to show you how to use what you already have on-hand to make something simple & pretty. 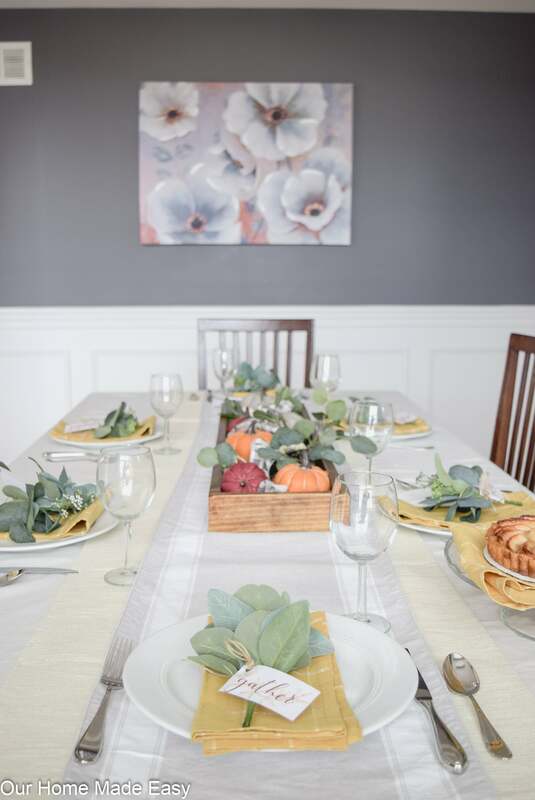 It can be the last thing on your mind, too if you have keep these easy DIY Thanksgiving table decorations nearby! I am a big fan of reusing home decor as much as possible. It’s why I love whites, greens, and blues so much. They ‘work’ in just about any space in our home. Do you have similar colors that could fit just about anywhere? 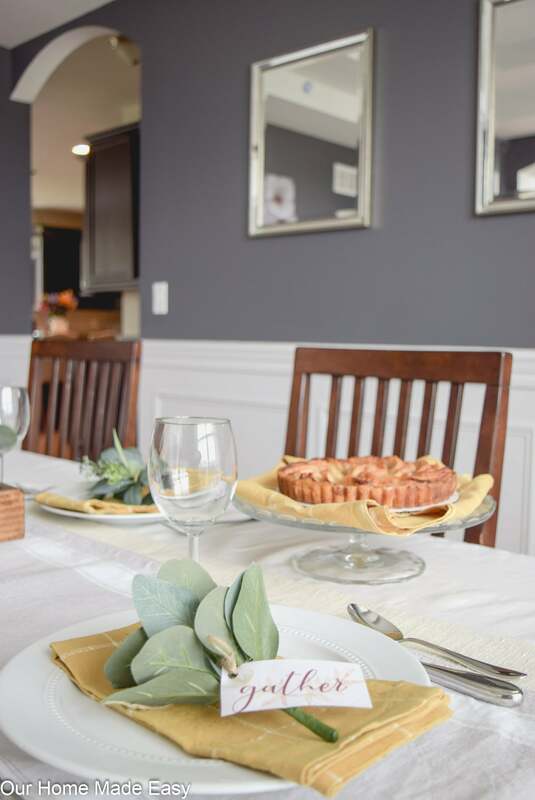 Now that we are in the full swing of hosting dinners, I’m gathering up all the basics and adding a few seasonal touches. 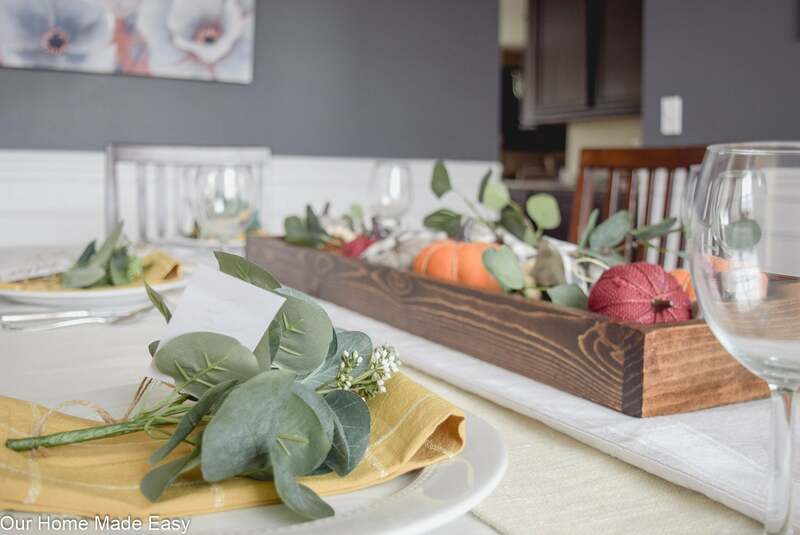 Then, I filled the DIY Wood Tray Jordan made last year with a bag of burlap pumpkins and a few pieces of eucalyptus from IKEA. 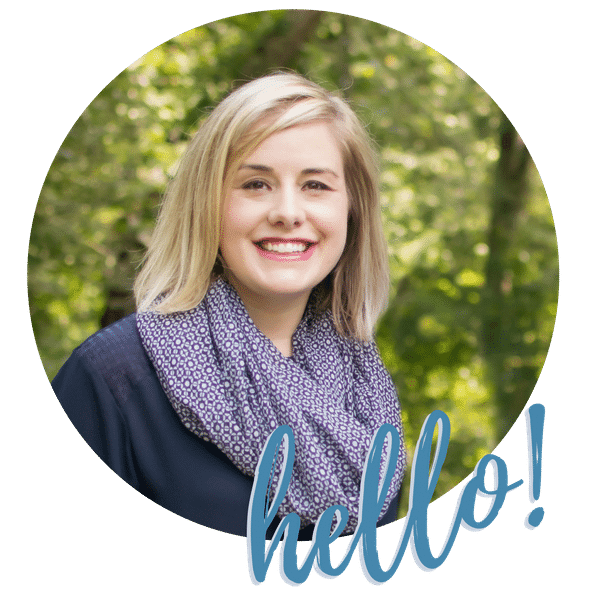 If the eucalyptus, wood beads, & gingham ribbon look familiar, it’s because they are totally are! I used both in our fall entryway this year and took the leftovers for this tray. 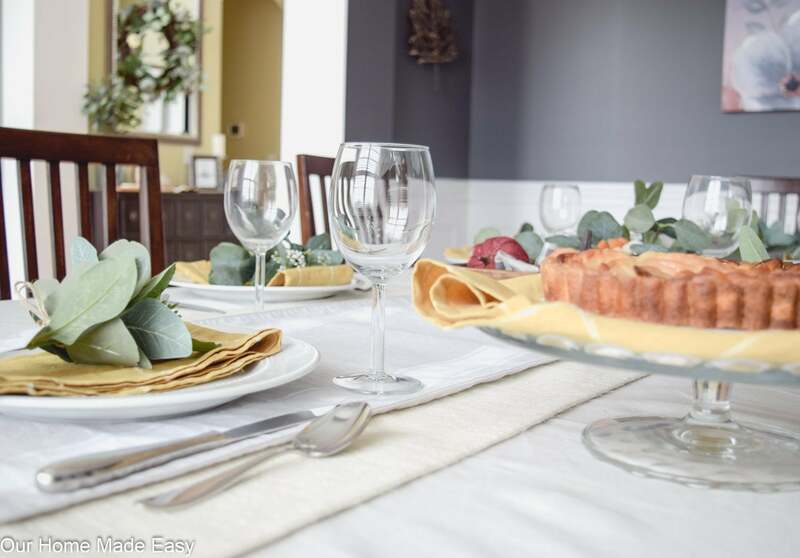 Lastly, top off each white plate with a colorful cloth napkin. 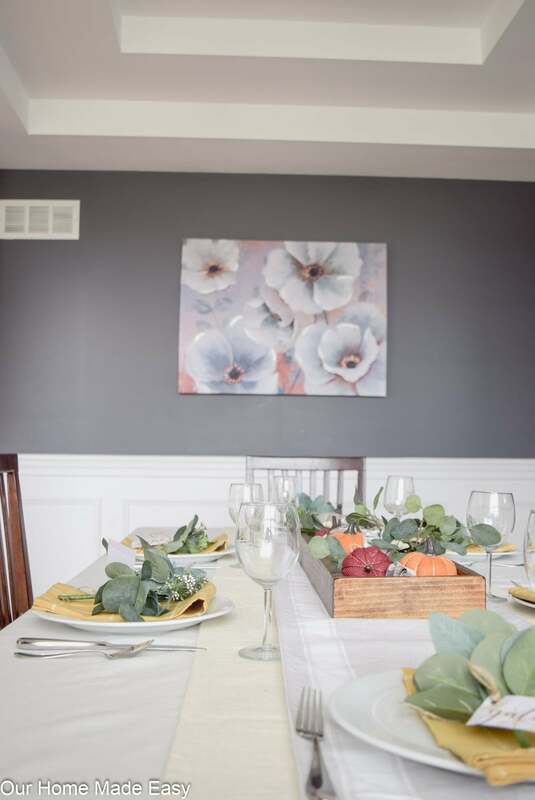 The cloth napkins are instantly festive (my kids were marveling at them 😉 ) and a simple way to add color with zero effort. I chose these yellow ones since there is yellow on the edge of my tablecloth and they could be used in the spring or even summertime! Large centerpieces that needed to be moved. I am a big fan of the drop and set into place. Each night, I shamelessly scoot the wood tray at the end of the table when it’s dinner time. Once everyone is cleaned up, I carry it back into place. Zero effort. 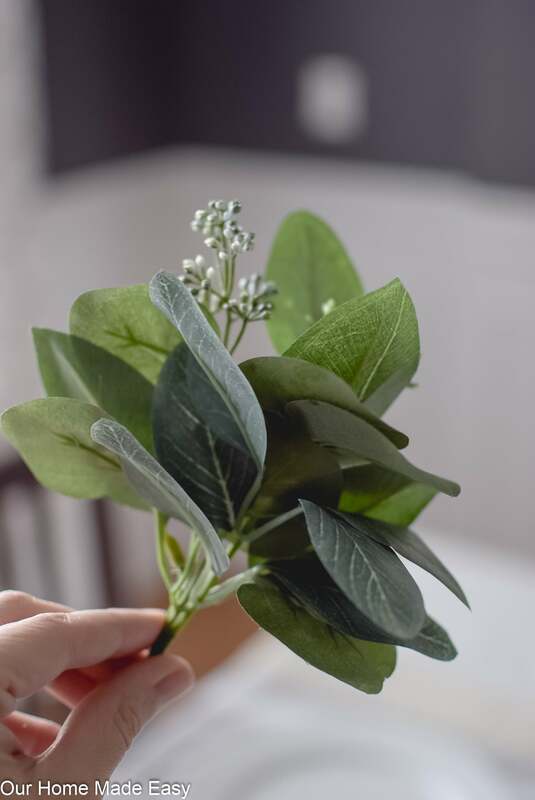 I found these little eucalyptus snippets from the Hearth & Home by Magnolia. 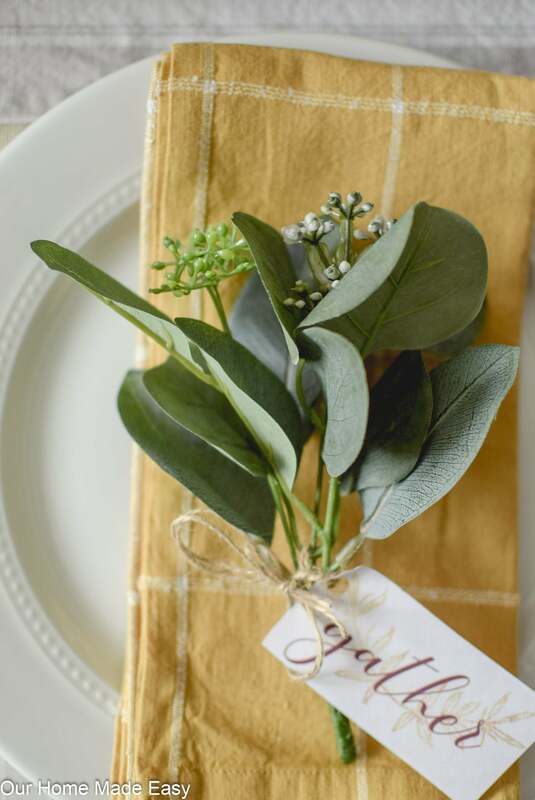 You could even buy 1-2 greenery stems, clip them and use them. For super cheap, you can make these in no time. I spent about $8 for the 6 pieces. It seemed like a great deal for greenery. My favorite part about the greenery? 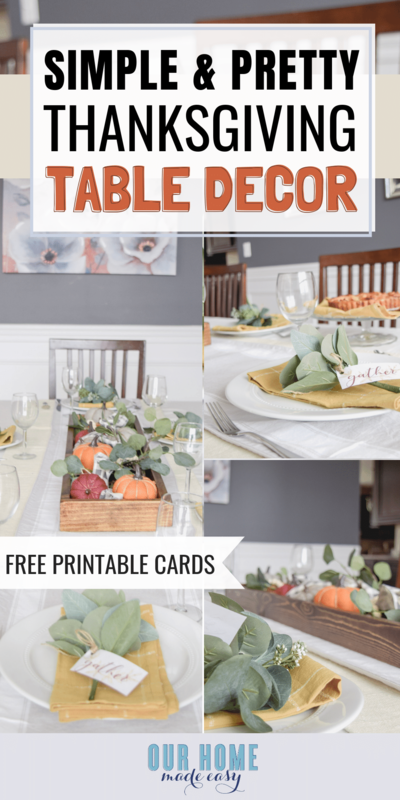 You can use them just about anywhere in your home after Thanksgiving dinner is over! Since real life is that my family eats on this table every night, I’ve already tucked the 6 pieces into the centerpiece. Lie your greenery on your table. Cut it out in any shape you’d like and use a hole punch to make a hole in the upper left corner. Using a piece of jute twine, double it up to give it a little bit of heft and loop it through the tag. Wrap as many times you would like around the greenery. Tie in a bow to secure. 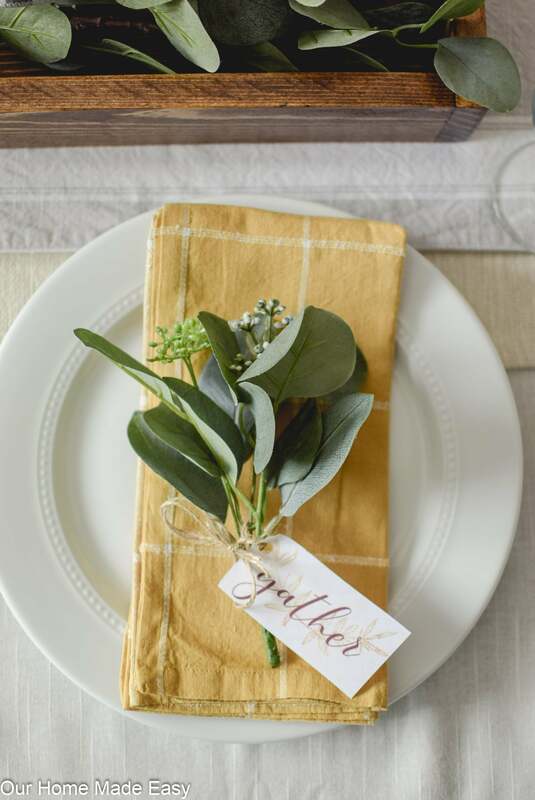 Lay your greenery bundle on top of a colorful fabric napkin. That’s it! 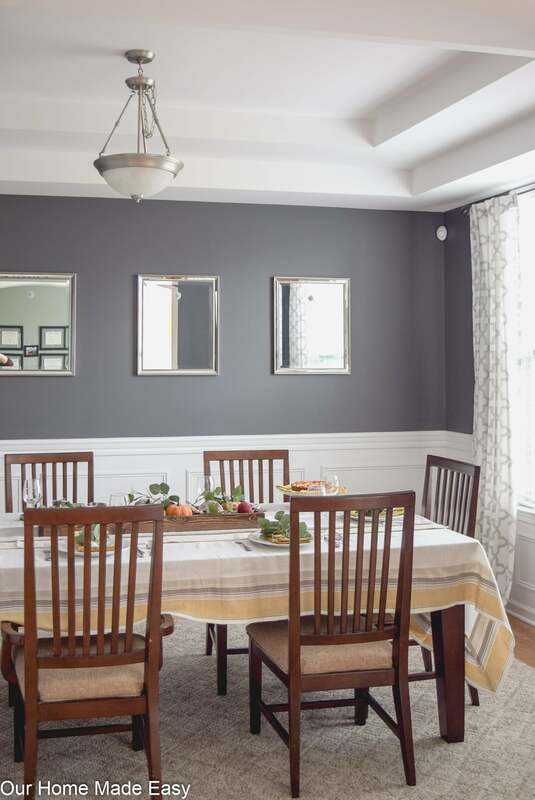 Insta pretty decor in less than a minute apiece! 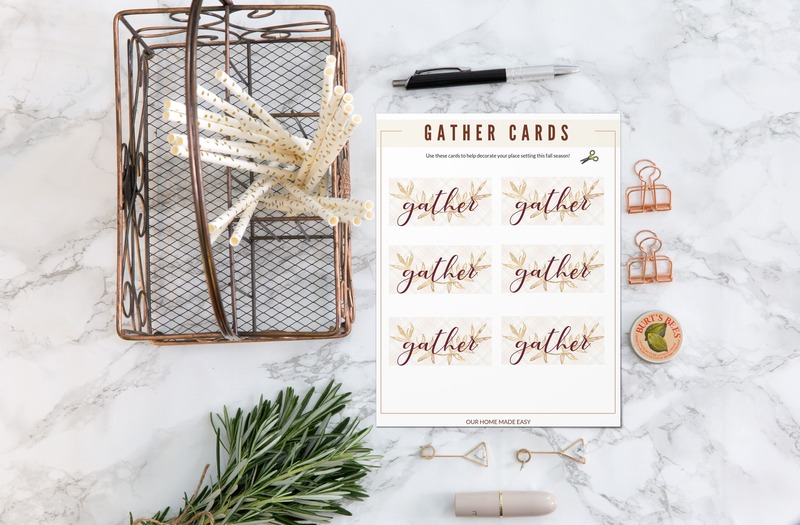 GRAB YOUR FREE GATHER TAGS HERE!